Jump on the Zane train. Everyone wants to look like Frank Zane. Whether you’ve admitted it to yourself or not, people like Frank and Zane and Arnie are the epitome of bodybuilding. With some people thinking today’s bodybuilders are too big, the golden era had monsters that the everyday man still wanted to look like. So how do you get that more natural yet jacked look of the past Gods? 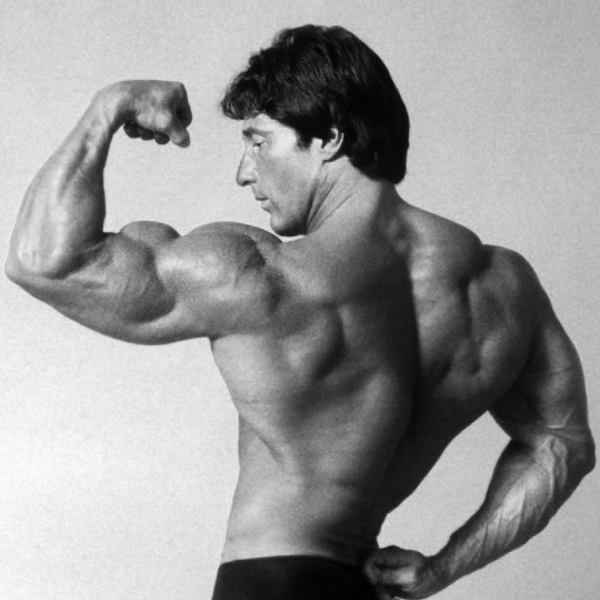 Follow these 4 tips from Frank Zane himself to get your arms big and striated. What a lot of people don’t know is that the triceps make up two-thirds of your arm mass. This is much more than its spotlight hogging cousin the bicep. Because of this, it deserves more attention. Frank sites his favorite as the close-grip bench press. He performs this with heavyweight and a slow decline, it’s a good way to add on size. Once you get a good workout perform it twice a week with the goal of achieving a good pump. Check out the breakdown below. Frank Zane recommends 3 sets of 12, 10, and 8. Use heavyweight, for a superset try these with pushups or overhead extensions. This is a good first exercise because you’re going to go heavy. Complete sets of 12, 10, and 8, increasing the weight for each set. Hold each contraction for one second. Fix a band around the weight stack for added tension. You want to do around 12 to 15 reps, you want to use lighter weight to focus on form and a good lockout. The one-arm version allows for a better stretch. I execute three sets of 12, 10, and eight reps, upping the weight for each set.